Considering custom tables? Compare Costs and Features! Impact Reports creates professional reports from Act! Durkin is a leading developer of Act! add-ons. With Durkin Computing add-ons for ACT!, managing, enhancing and getting more out of your Swiftpage ACT! software has never been easier! We are a Swiftpage Authorized Partner specializing in ACT Add-ons and modules. With our add-ons you can create data-entry forms and custom tables, stay on top of your project schedule, keep in touch with your contacts and manage your sales and opportunity pipelines. What’s the different between an add-on and a module for Swiftpage ACT? They are the same thing. In the world of ACT!, end-user have come to know a piece of software that expands ACT! functionality as add-ons. Impact for ACT! add-ons go way beyond the single nature of any add-on. Our add-on suite has a single installer allowing you to turn on or off individual add-ons much like a modules in an accounting package. You want a crisper easier to read calendar, turn on the calendar module. 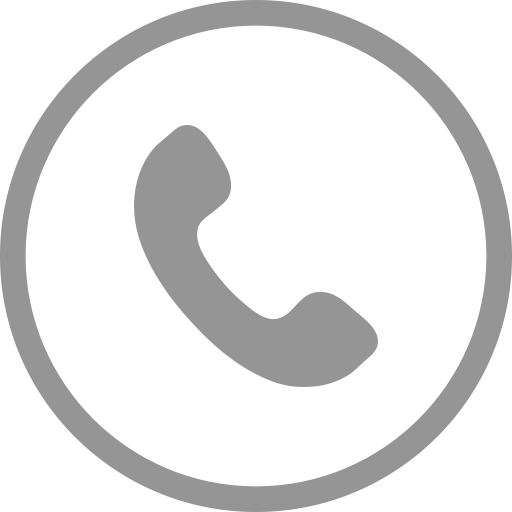 You want a color coded contact list, turn on the contact list module. Impact Suite for ACT! allows the administrator a single point on control for all add-ons and modules for every user. It’s really that simple, a singular admin control panel accessible from any workstation. Great question. I always answer with a question, "What View in ACT! do you live in?" We have add-ons for every view in ACT! and then some. Our add-on modules enhance these views; Contact List, Company List, Groups List, Opportunity List, Calendar Views, Task List and shortly we will be adding the Notes List, History List and Relations List modules. You can even build your own list view using a custom table designer. Let's not forget the new Dashboards and report designer either. Why buy an add-on module for ACT? Basically, the short answer is... more productivity. Sometimes ACT! fall short of your business practices. That's where Durkin add-ons can step in. Add-ons can increase productivity such as enhancing the opportunity list view or the calendar view in ACT! Impact Add-ons can also allow you to capture business data you never thought of before. With our custom table add-on you can capture ANY type of data such as services schedules, project tracking, inventory or human resources. In fact we have designed over 30+ kick start templates to get you up and running in minutes. Fast, flexible custom table building add-on for ACT! 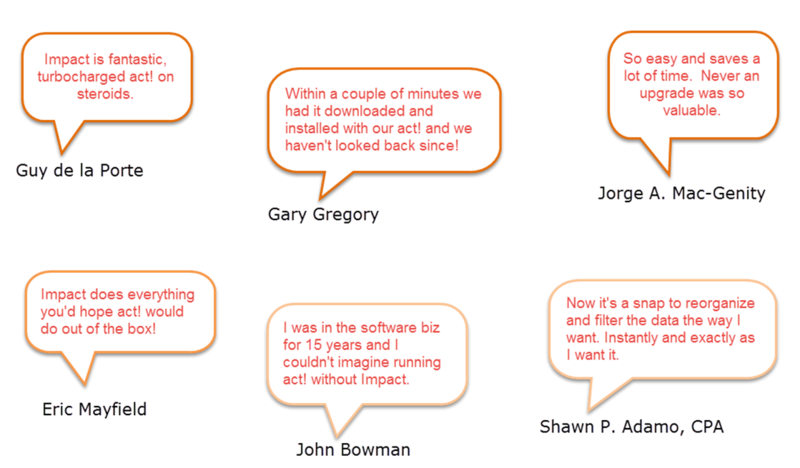 Impact, as you may have read by now, can add some truly amazing functionality into ACT! by Swiftpage. Using the custom table add-on you can add a ‘project tracking’, 'technical support', 'resource management', 'customer management' 'inventory controls' or track ongoing events such as construction, installations, training classes or sales and opportunities. Using Impacts calendar add-on you can color code and enhance the calendar view allowing your to display users side-by-side. With both add-ons you can now track ongoing custom events directly on your calendar view! You can have event information displayed on your task list view allowing you to group like tasks together by the ‘project name’. Really cool stuff happens when you use the add-on in conjunction with each other. Let’s take this a step further. Maybe you need to capture more information about an activity such as ‘hours billable’ or a ‘travel code’ for the accounting department. Using the custom table designer you can add new fields on your ‘Edit Activity’ window and these new fields will be viewable in the task list add-on and the calendar view add-on. Track Donations and Pledges in your act! CRM using Impact Suite. Track payments made against the pledge. Simple list view and data entry forms. Custmizable fields, charts and reports available. ACT! 2014 (v16.2), 2015 (v17), 2016 (v18), 2017 (v19), 2018 (v20) and 2019 (v21).